The past couple Far Cry games have allowed for some limited "co-opportunities" in the form of raiding outposts or taking on co-op missions in a separate mode. For Far Cry 5, though, players will be able to create their custom character and then team up together to take down the Eden's Gate cult. The game also boasts the usual open world to explore, as well as an array of weapons to collect and customize, vehicles to crash into other things, and no doubt a small mountain of collectibles to gather. We'll probably hear more about this over the next couple of weeks leading up to and during E3 2017. 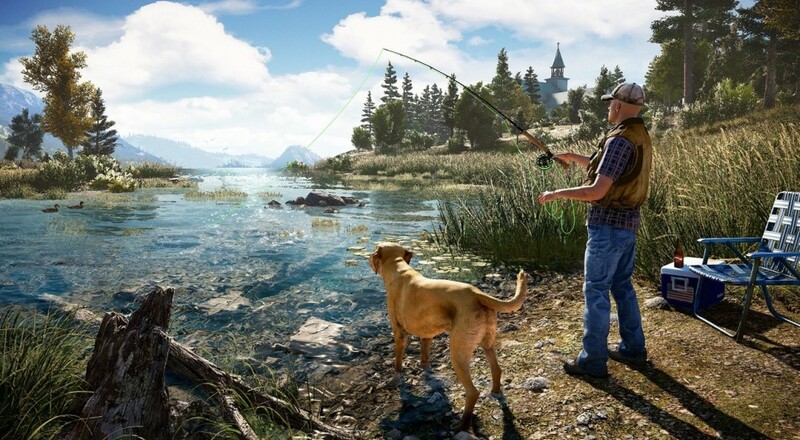 Far Cry 5 will be released on PC, PlayStation 4, and Xbox One on February 27, 2018.